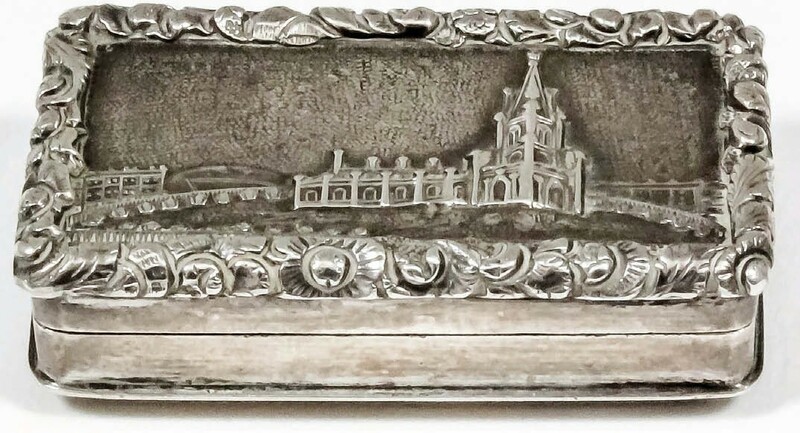 The Canterbury Auction Galleries included this George IV silver vinaigrette by John Lawrence & Co, Birmingham, decorated with a view of St Peter’s Church, Brighton. It sold to an Australian internet bidder for £2300. The George IV silver vinaigrette by John Lawrence & Co, Birmingham, decorated with a view of St Peter’s Church, Brighton that sold at £2300 at Canterbury Auction Galleries. It is notable for its date. Hallmarked for 1829, it ranks among the first castle tops ever made and the starting point of a trade in souvenir wares that lasted for two generations. Lawrence produced two Brighton vinaigrettes: this rare example and another showing Brighton Pavilion. The sale took place on October 3.